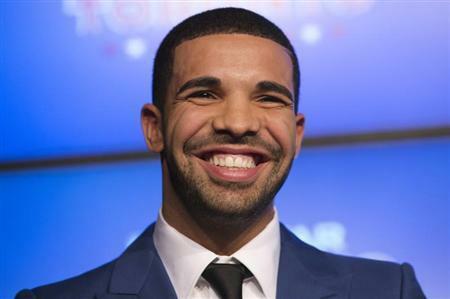 LOS ANGELES (Reuters) - Rapper Drake vaulted straight to No. 1 on the weekly Billboard 200 album chart on Wednesday, as his latest album garnered the second-largest sales week of the year so far. "Nothing Was the Same," the third studio album from the Canadian rapper, sold 658,000 copies in its first week, according to figures from Nielsen SoundScan. Only Justin Timberlake's "The 20/20 Experience," which opened with 968,000 copies in March, outsold "Nothing Was the Same" in a one-week period. All three of Drake's studio albums have debuted at No. 1 on the Billboard 200 chart, and "Nothing Was the Same" is the biggest opening week for a rap album since the September 2011 debut of Lil Wayne's "Tha Carter IV." Drake's latest came in ahead of six other new debuts in the top 10 of the album chart this week. Nashville rockers Kings of Leon entered the chart at No. 2 with their latest album "Mechanical Bull" selling 110,000 copies. Pop singers Cher and Elton John landed behind Kings of Leon, with the dance diva's latest album "Closer to the Truth" at No. 3 and the British pianist's "Diving Board" at No. 4. Other new debuts in the top 10 included heavy metal rockers Dream Theater at No. 7 with its self-titled album, electronic dance music group Krewella's "Get Wet" at No. 8 and heavy metal band Metallica's "Through the Never," a soundtrack album for their new film, at No. 9. On the digital songs chart, which measures song download sales, there was no change in the top three this week, as New Zealand artist Lorde continued her reign at No. 1 with "Royals." Katy Perry's "Roar" remained at No. 2 and Miley Cyrus' "Wrecking Ball" was No. 3. Overall album sales for the week ending September 29 totaled 5.2 million copies, down 10 percent compared to the same week in 2012, according to Billboard.